See it, off in the distance? Beautiful blue skies and white clouds surround the one dark cloud. 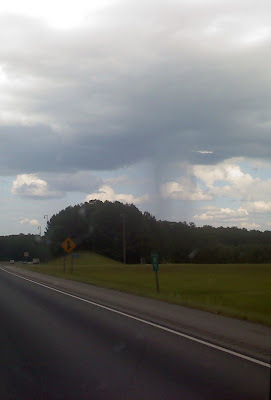 Rain coming down from the one spot. I had never seen it quite like that in the distance, released from one, almost round spot from the cloud. You could see the opening in the cloud. Taken on the return home from a quick trip to school and back with BigBoy last week. This is very unusual. Great photos. Happy SWF. That is an amazing photo, looks like something out of a sci-fi film. Amazing. Wow!!!!!! Now that's a perfectly timed shot!! 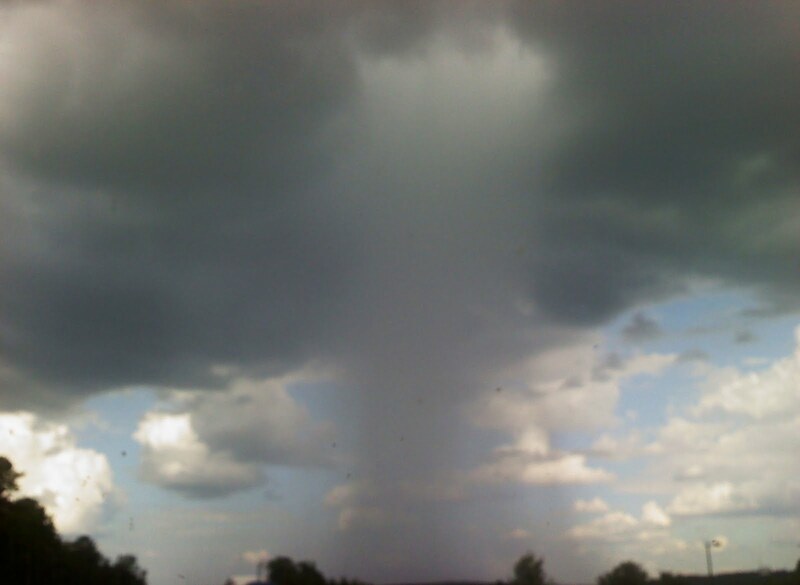 wow i love seeing rain like this. fab shots. bet you are busy busy busy with the summer being here. don't forget to give my handsome prince a kiss from me!! Almost looks like a drain in the sky. Amazing! This was a good shot. Oh WOW! 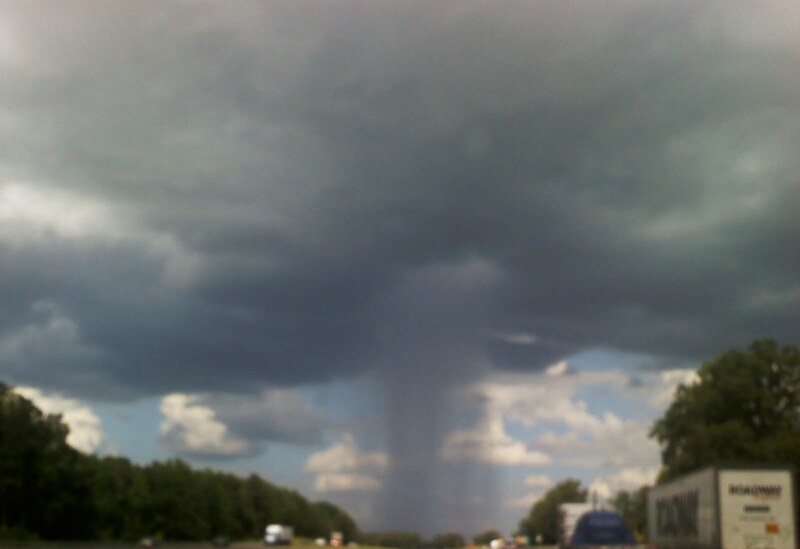 Those are the coolest rain cloud photos I've ever seen! Great shot!